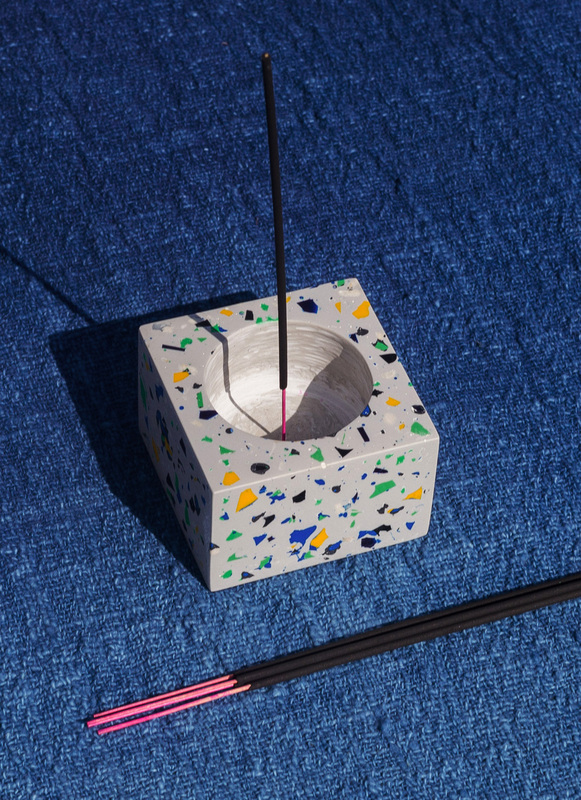 Inspired by Mount Agung and how it is still being viewed by the locals as a majestic being, all powerful and mystifying, this Incense Holder perfectly crafted in terrazzo and resin which is produced in Bali. 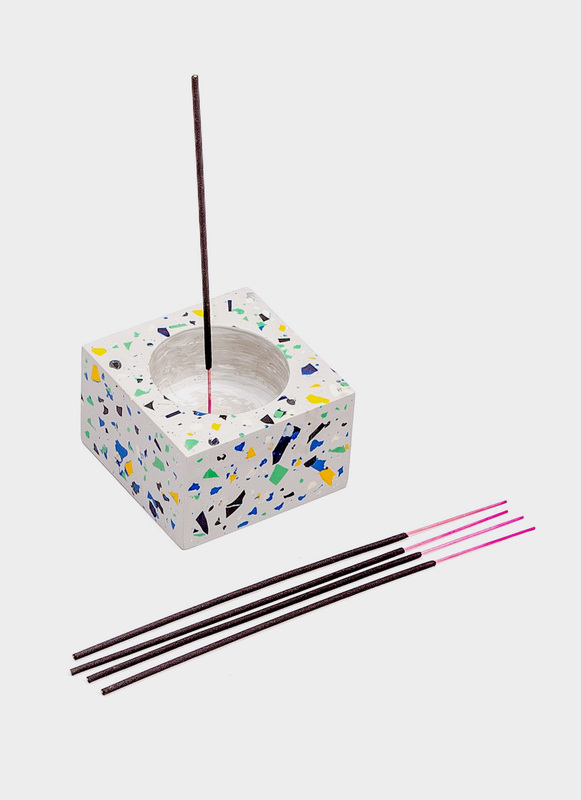 This Incense Holder is featured with a mixture of gray as their color with specks of colorful resins which is picturing an earthy and nostalgic of the climate of Bali. 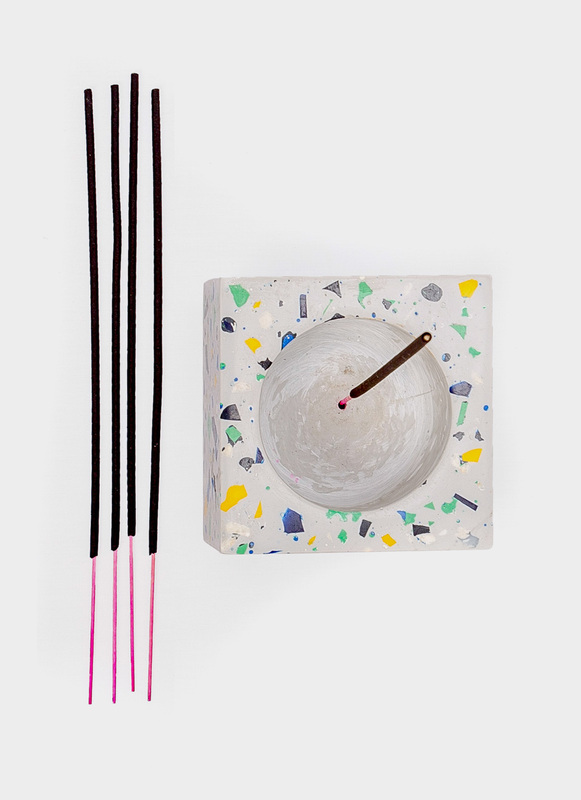 By trying to symbolize Bali where Canaan came from, Canaan wants to relate Bali as an incense burning with its fragrance nodes. Jakarta: 1-3 Hari Kerja, Luar Jakarta: 2-6 Hari Kerja. Pengiriman gratis berlaku untuk pembelian diatas IDR 500,000. Untuk pengiriman ke luar Indonesia, terdapat kemungkinan adanya pengenaan Bea Masuk & Pajak Impor kepada pelanggan. Item ini tidak memenuhi syarat untuk dikembalikan atau ditukar. Lihat FAQ Untuk Detil.